Protect your email account and don't fall into the scammers and hackers' trap! They are genius, witty, and clever! The scammers are not leaving me alone! 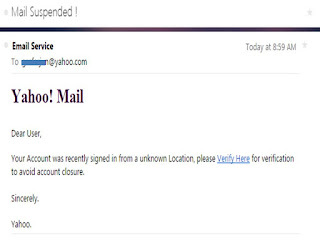 This morning I received another email from Yahoo with a subject, Mail Suspended! The email says, "Your Account was recently signed in from a unknown Location, please Verify Here for verification to avoid account closure." At first, I thought it might be true. So I almost click on the link. 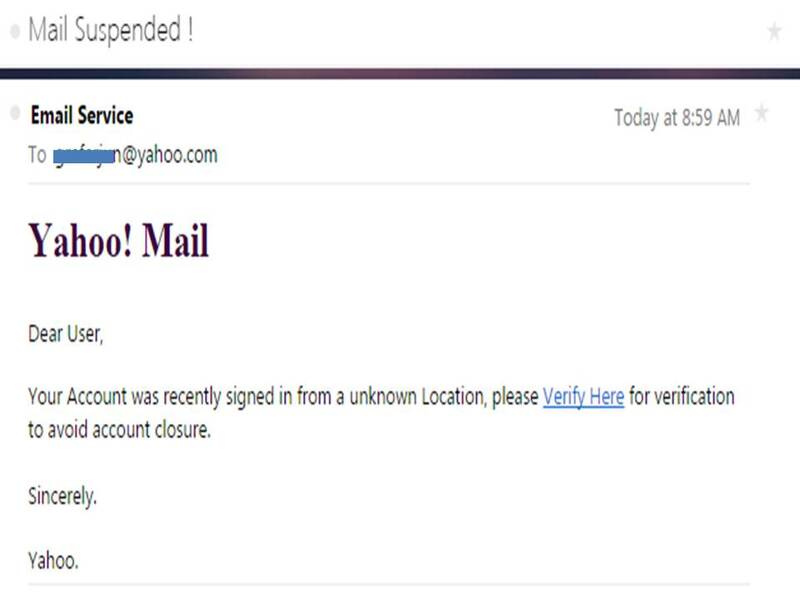 Usually, if there is an attempt to login to my email, I will receive notice from Yahoo with exact location, time, and IP. The email would often tell me to ignore or change my password if it was me. The email I got this morning was different. What the hackers didn't know was, I have a security verification set up, so even if they figured out my password, they will still have to enter a verification code comes by Yahoo through SMS or email. Therefore, it is impossible that someone hacked my email this morning without me receiving the code from Yahoo through my phone. To make it sure, my email was not suspended I tested it and still works! Here is the email below! Your Account was recently signed in from a unknown Location, please Verify Here for verification to avoid account closure.